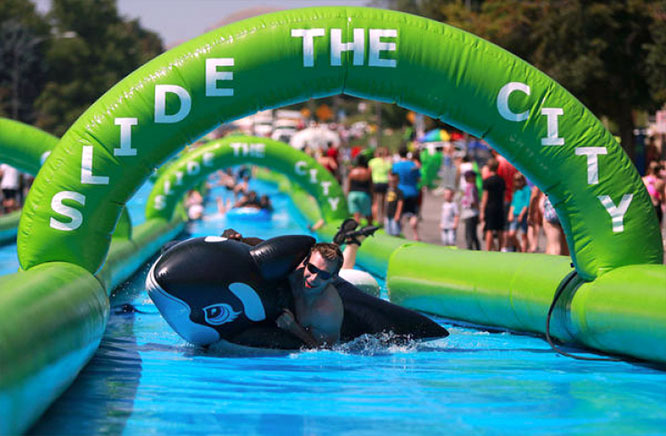 The Children’s Heart Association of Cincinnati is excited to announce that we’ve been selected to receive 10 passes to Slide the City, taking place on Saturday, June 20th! Stay tuned to find out how one of these passes can be yours! If you or someone you know is planning to guarantee a slide by purchasing a single slide or slide package, use this code to receive 10% off: SLIDE4TCHA5. Slide the City will donate 10% of all slides purchased with this code to the Children’s Heart Association of Cincinnati!